We urge Congress to keep country caps in order to preserve the integrity of our immigration system and our national policy of diversity therein. 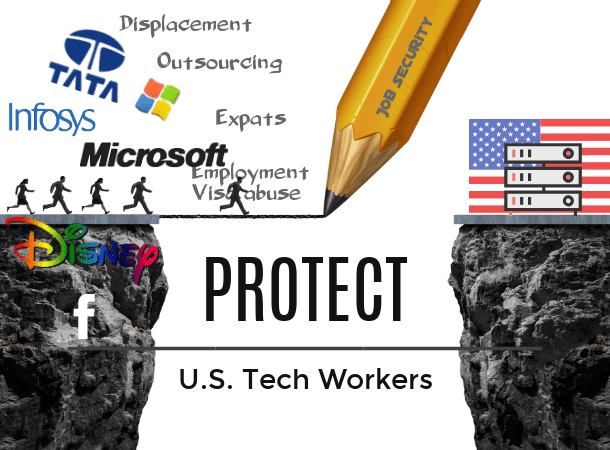 We oppose HR392/S281 the “Fairness for High Skilled Immigrants Act” (hereinafter referred to as “this bill”). It is neither fair, nor is it for the high-skilled, nor is it only for employment-based green cards. This bill completely eliminates country caps for all employment-based green cards and more than doubles family-based green cards, essentially allowing India, & to a lesser extent, China, to co-opt America’s green card system. Moreover, this bill has not had any hearing or impact study assessing the effects on American workers, American businesses, non-Indian immigration, or our immigration system. This bill seeks the complete removal of the 7% country caps on employment-based green card distribution, put in place to ensure diversity in immigration. In practice, however, India has been receiving roughly 18% of the US allotment of green cards because they’ve recaptured unused green cards from countries that have not been able to secure H1B visas for their country’s workers. According to Lee Francis Cissna of the USCIS, and other experts, passing the bill would result in the employment-based green card flow coming almost exclusively from India for many years. The resulting impact on diversity and national representation in immigration would be an issue. This result penalizes American companies who want to use the H1B program to bring in truly talented individuals from countries other than India. There are certainly people of skill and talent from many countries that America would like to welcome. The original intent of the H1B visa program was to allow American employers to bring in the rare person of talent from overseas. But, just as Indian outsourcing companies & a handful of big US tech companies have gamed the H1B visa system, so too are they now seeking to game the US green card distribution process, and smaller American startups are shut out of the process, unable to access work visas or green cards for potential employees. It is impossible to look at this bill fairly unless you consider the H1B abuse over the last two decades. When Congress made the H1B visa a dual intent visa in 1990, we believe it was relying on the integrity of the 7% country caps to act as a backstop, & did not intend the majority of H1Bs to come from one country, nor for every H1b visa holder to become a green card holder. Indian outsourcing companies, along with American big tech companies, have worked in tandem to bring in low-wage workers from India. 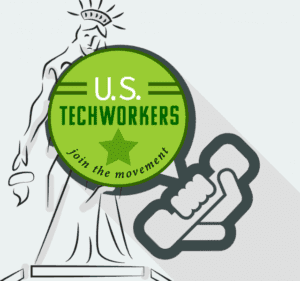 There have been many indictments for fraudulent schemes, and many of the outsourcing companies have been sued successfully for discriminating against American workers. In fact, there is currently a lawsuit going on in Oakland, CA, (Buchanan vs. Tata Consultancy Services, Inc.), producing testimony showing discrimination against non-Indian workers. India has a green card line because that country’s outsourcing companies have monopolized the H1B market resulting in India being oversubscribed in the H1B program. So when those workers all apply for green cards, the line naturally results. America has the 7% country caps in place to ensure diversity in our immigration system, and to allow each country to get 7% of the employment-based green cards. This bill seeks to shift the burden of India’s oversubscription and monopolization of work-visa programs to the rest of the world. Backers of this bill want you to ignore India’s discrimination, abuse, & monopoly of these systems, and respond to their squeaky-wheel approach by abandoning the integrity of our green card distribution process and opening the floodgates on the green card admission process. This request for a far-reaching policy change comes at a time when America should instead be controlling the work visa systems (by perhaps putting country caps on H1Bs to match the green card caps). But two wrongs don’t make a right, and removing country caps doesn’t resolve the line; it just shifts the burden from India to immigrants from the rest of the world, who would then have to wait 10 or more years — behind India’s continually-over-filling green card line — to have a chance at the American Dream. In addition to eliminating the employment-based green card caps entirely, this bill also seeks to raise the family-based limit on green cards from 7% to 15%, more than doubling it. Again, the effect of this would be to put India’s substantial number of family-based applicants in front of uniquely-skilled people from the rest of the world, surely not what was envisioned by congressional drafters. As H-1B expert Ron Hira of Howard University in Washington, D.C., testified to Congress, the displacement of American workers is extremely prevalent: “In addition to the Southern California Edison case, a number of other cases—including Disney, Northeast Utilities, the Fossil Group, Catalina Marketing, New York Life, Hertz, Toys R Us, and I could keep going on—were highlighted by the press. But these were only the proverbial tip of the iceberg. There are many more cases out there. Making matters much worse, testimony by labor force expert Hal Salzman of Rutgers University, added that “all evidence and events suggest [that] the substitution of guest workers for U.S. workers is accelerating. The fiction put forth by those attempting to replace American workers with cheaper foreign labor is that America has a shortage of workers to fill those jobs. “The sad reality is that not only is therenota shortage of exceptionally qualified U.S. workers, but across the country thousands of U.S. workers are being replaced by foreign labor,” said then-Senator Jeff Sessions in 2016 (emphasis added). In fact, many American STEM graduates can’t find employment in STEM-related jobs. It is well established that India has oversubscribed, monopolized, and gamed the H1B visa system. With this bill, backers are seeking to open the flood gates; removing all limits, checks, and balances, on our immigration system. While backers state that they aren’t attempting to raise the number of green cards granted each year with this bill, many can see the pretext in this disingenuous claim, and believe this to be just the first step. Furthermore, if America wants to welcome immigrants from other countries, there will be little room to do that unless the current system is brought under control. Opponents of this bill understand this is a slippery slope, and if this landslide is allowed to proceed, America will be cleaning up the mess for years to come. This bill is NOT a solution to any problem; it is a problem in and of itself. Please preserve the integrity of our immigration system and help protect U.S. workers: Do Not eliminate or raise the 7% country caps on America’s green card distribution process. This entry was posted in H1-B News, Updates and tagged abuse, congress, displacement, employment, h-1b, h.r. 392, hr 393, india, infosys, lame duck, s 281, skills, tata, tech workers, technology, visa, workers, yoder.